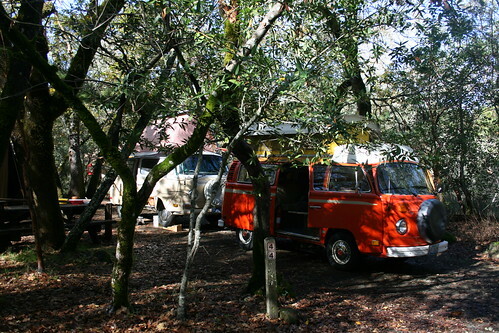 Our orange bus and John's dormobile bus shared a site to save a little money on the camping fees. 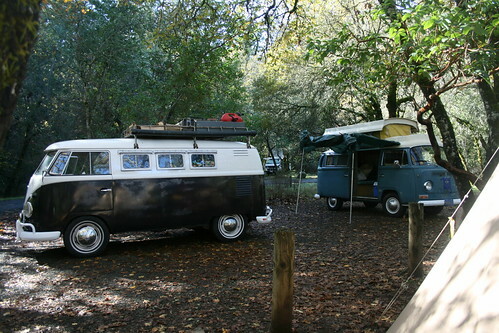 Sheri and Mike's split window bus, and Brett's Big Blue bus. 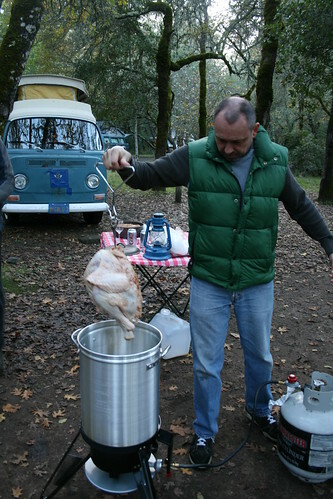 Joel puts the turkey in the deep fryer to cook. 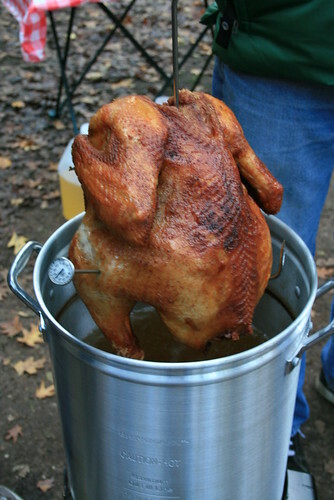 The turkey looks done and ready to eat! Gobble gobble! Waiting for all the food to cook. 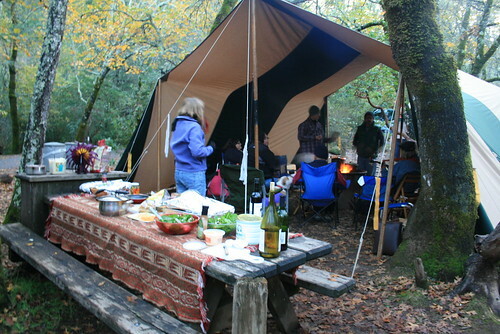 Hanging out by the camp fire under John's big tent.